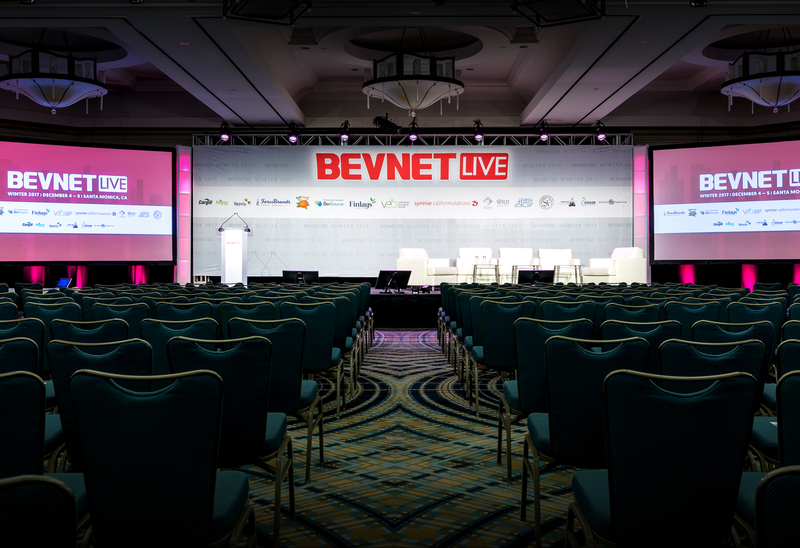 BevNET Live is a two-day forum for beverage entrepreneurs, suppliers, distributors, retailers and investors to gather and exchange ideas through interactive panels, lectures, and networking. 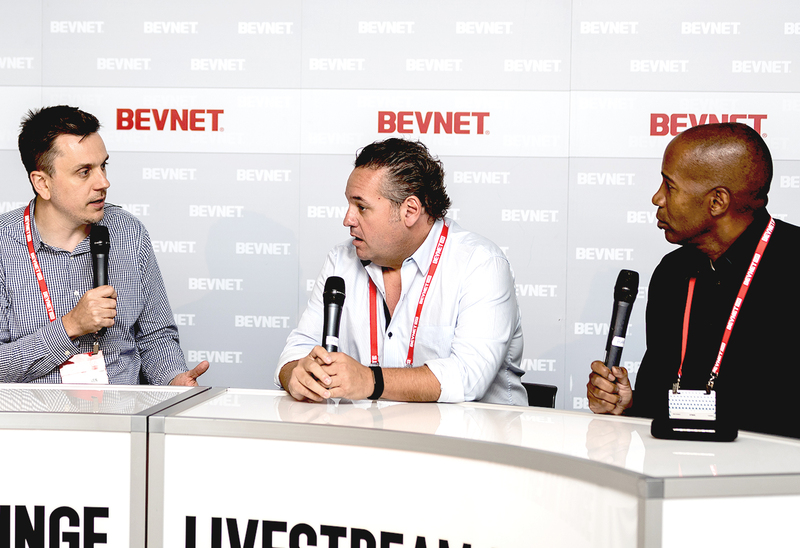 BevNET Live offers extensive and in-depth programming and networking with other attendees and the BevNET.com community, which has spent more than a decade dedicating itself to careful reporting on the fast-moving beverage industry. 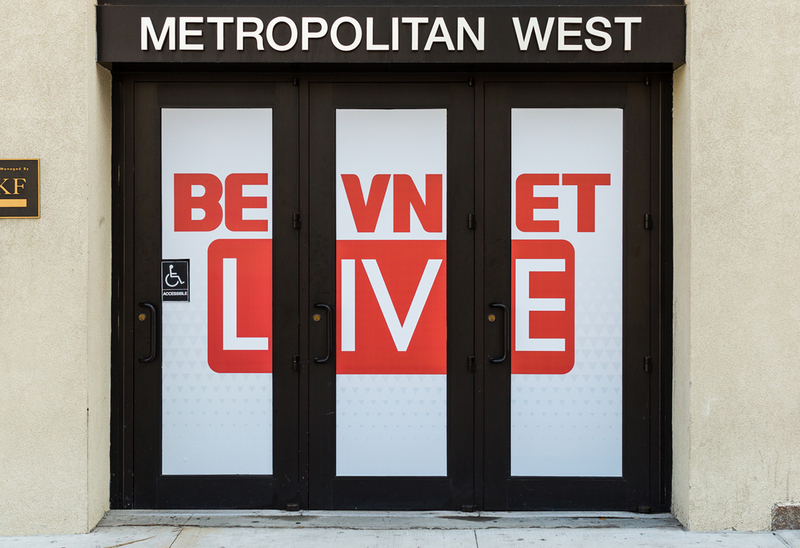 More than just a conference, BevNET LIVE includes exclusive offerings including the BevNET Live Expo, the New Beverage Showdown, a Sampling Bar option for all attendees, a Beverage School for new entrepreneurs, and more. Three door panels designed and printed on removable vinyl. Hung by myself and another designer. If Mark Wahlberg is sitting in front of your 10'x35' banner you take a photo. 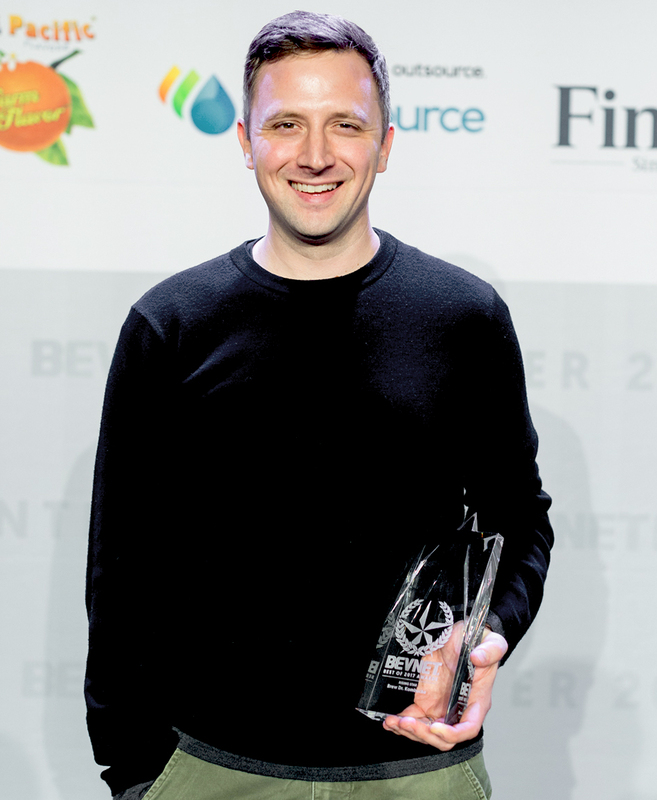 Designed the logo and etching for the BevNET Best of Awards. Dye-sub poly poplin stage banner at 10' high by 35' wide. Portable three panel backdrop to be used for on-site interviews.